With the current state of the American economy and more and more information readily available on the Internet and YouTube, more business owners are going the do-it-yourself (DIY) route for everything from cleaning to repairs. However, there is one area in which a DIY approach may be more costly than hiring a professional: Security. Innovation: It is difficult for DIYers to stay up-to-date on the most recent technological advances, including digital recording, IP cameras, mega-pixel resolution, analytics and video management software. Learning on the Fly: The security industry and, more importantly, security technologies are constantly evolving. Because of this, one of the biggest challenges facing DIYers is learning about each new product as it comes onto the market. While this may seem easy, many new products are developed by new businesses, which lack the necessary support resources for their customers. This forces DIYers to purchase the new product and learn on the fly. Managed Services: Once a system is installed, who will manage it? Managing a system in house can put a real strain on your budget. 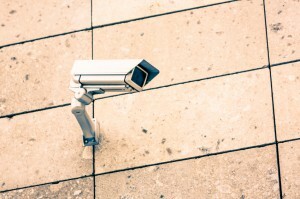 To get around this, many businesses are turning to managed security services. Experience: Professionals are professionals for a reason. They know what they are doing and have seen it all before. They stay up-to-date on the latest technologies and have the know-how to incorporate these technologies effectively into your security system. Professional Security Design & Installation from ARK Systems, Inc. This entry was posted on Thursday, May 16th, 2013 at 5:02 pm. Both comments and pings are currently closed.